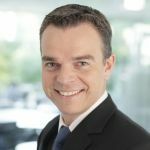 Andreas Rinner is the Head of the Business Unit Technologies, Business Center Manager R&D and a member of the Executive Board of the PASS Consulting Group. The graduate computer scientist manages and coordinates the analysis and development of new technologies. The Business Unit Technologies offers support for PASS customers with assessments and market studies and also initiates research projects and partnerships between science and industry. In addition, the team led by Andreas Rinner performs research and development projects within the company. 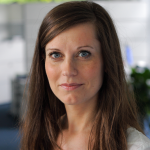 Anne-Kathrin Hanisch has a degree in business administration and is the Head of the Business Unit Travel, EMEA (Europe/Middle-East/Africa) at PASS Consulting Group since 2009. She began her career in the Business Unit Travel in Miami. Afterwards she worked in collaboration with the partner Farelogix as project manager and as a business analyst for a well-known airline and a large TMC. Afterwards she has become the project manager for the development of the new PASS Travel Framework (Travel Booking and Consulting Framework). Gabi Rabl has studied International Business Administration at the University of Cooperative Education (Berufsakademie) in Berlin. She started her career at PASS Consulting Group in the Miami-based Business Unit Travel. Following this, she was responsible first as a sub-project manager and later as the project manager for the introduction of an agent front-end at a renowned international airline. Then she took over sales of the Business Unit Travel for EMEA. In September 2012, she moved to the technology unit as Head of Business Development Technologies. Michael Strauss is the CEO of Miami-based PASS Consulting Corporation. He has been the driver behind PASS's success and continued growth in the travel and telecommunications industries. He is also Head of the Business Unit Travel worldwide for PASS Consulting Group. Michael started his professional career in 1993 at Siemens Mobile Germany as a developer for cordless phone systems. He soon was in charge for product development and strategic relationships with leading customers. Later he was responsible for both strategic market and trend analysis for Siemens' cell phone network division and worked closely with the Siemens executive leadership team. In 2000, Michael Strauss joined PASS Germany, where he developed and managed the telecommunications division. In 2004 he was named CEO of PASS North America and at the same time Head of the Business Unit Travel. Since then Michael has been instrumental in scaling PASS's technology solutions while maintaining a culture of innovation within the company. Michael holds a Masters degree in Engineering and Information Technology from the Technical University of Munich. Stefan Luckhaus is a computer scientist with more than 35 years of experience. He has been working in software development since 1981 and completed his studies 1988 in Frankfurt entitled as Dipl.-Ing. (FH). Subsequently, he was self-employed for 10 years. 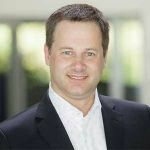 Since 1998, Stefan Luckhaus is an employee of the PASS Consulting Group. At first he worked as a developer. Later he managed development projects leading him to the USA, Singapore, India and some European countries. 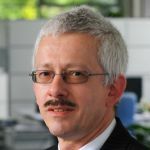 Today Stefan Luckhaus is responsible for the competence center Project Governance which provides process engineering for software development of the entire PASS group and performs productivity and quality measurements – internally for about 20 IT shops as well as by customers' order. He is a member of the PASS group’s R&D unit and has the status of a Principal Innovation Consultant. Stefan Luckhaus is the author of several books.